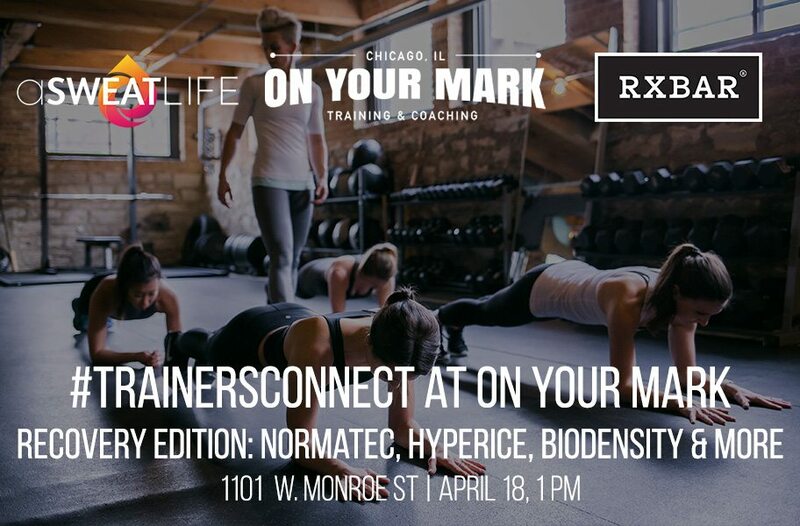 Chicago group fitness instructors, personal trainers, small group instructors and yoga teachers, you’re invited to Recovery Day with aSweatLife and RX Bar at On Your Mark in the West Loop. Glad you asked! 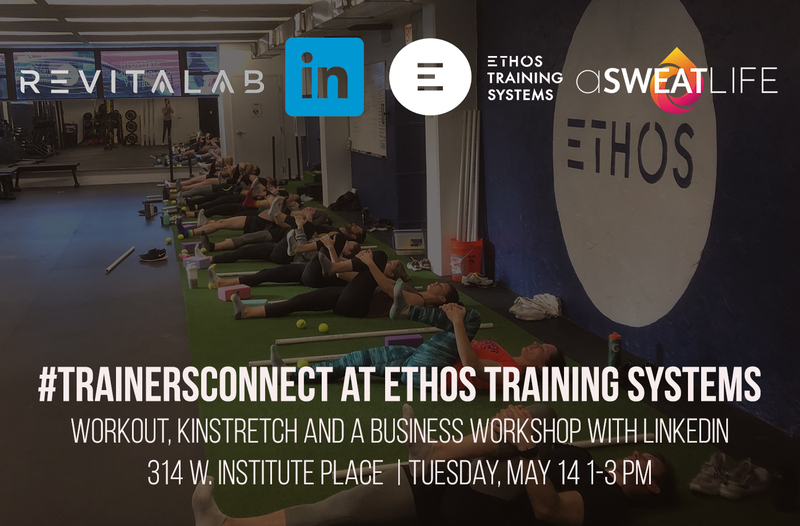 April 18 from 1-3 pm, Emily Hutchins, On Your Mark owner and Nike Master Trainer, will host trainers in Chicago for an afternoon of recovery and mobility alongside our friends from NormaTec and Hyperice. In lieu of a sweaty workout, you’ll have ample time in these four stations to experience the benefits of each. At the bioDensity station, Emily will lead your group through how to use this system which safely aids in increasing bone density by stimulating the body’s natural bone generation process. At the compression station, you’ll zip up into NormaTec’s boots to optimize recovery using PULSE technology. At the Hyperice station, you’ll use the signature Vypers and Spheres to dig deep into tight muscles on your own. You’ll also receive a 30 percent discount to purchase your own that day. To bring it all together, you’ll move through dynamic mobility exercises to mend your all-over achey muscles in a guided recovery session led by trainers at On Your Mark. After the recovery stations, we’ll hear from Lee Kemp, a world class wrestler with an incredible story. Kemp was to compete in the 1980 Summer Olympics in Moscow before the U.S. declared a boycott. We’ll hear from Kemp about his recovery journey from this loss, how he moved forward as well as advice to stay positive in the face of seemingly insurmountable adversity. 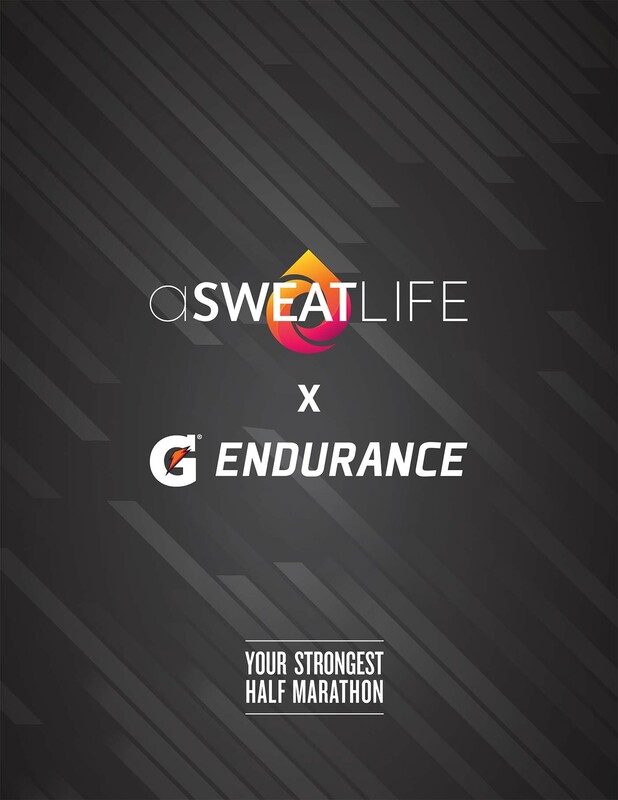 And if all this doesn’t already sound like an afternoon crafted from heaven, one person will be randomly selected from attendees of this #TrainersConnect to take home a pair of those NormaTec compression boots to keep. 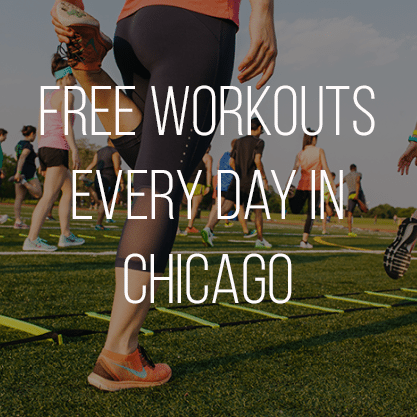 Get ready for an afternoon of camaraderie with other Chicago trainers and instructors and much needed recovery. 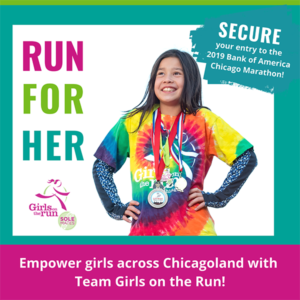 Class will cost just $5 with all ticket sales benefitting the Greater Chicago Food Depository. This is open to instructors from all studios. And if you thought to yourself, “Hey! 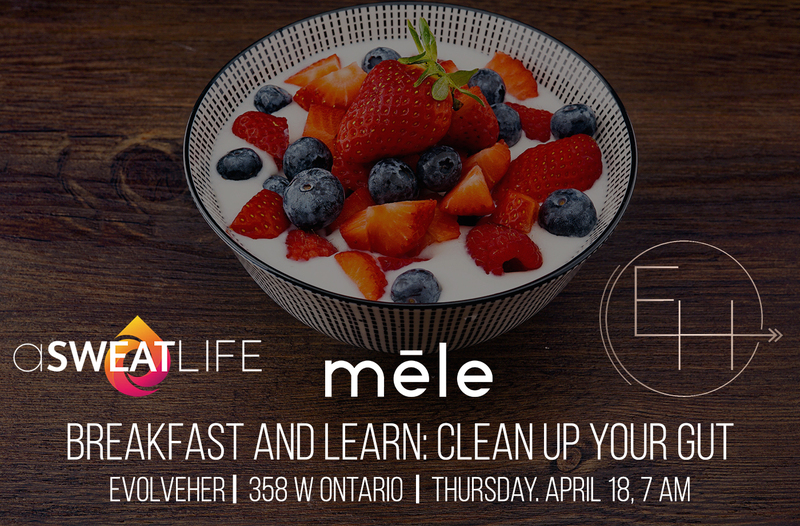 My studio/gym should host this next time!” come to this first one and then let’s talk about it! Email maggie(at)asweatlife.com. Where is it? On Your Mark West Loop, 1101 W. Monroe St.
Where do I get at ticket? Right here! Does my ticket come with snacks? Of course. RX Bar will be there with all your favorite flavors!